Chelsea striker Gonzalo Higuain has confirmed that he will be no longer available for international selection after being cast out in the wilderness following Argentina's World Cup failure in Russia. 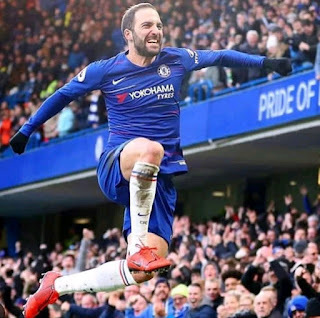 Gonzalo Higuain has endured a fractious relationship with the national team in recent years, with costly mistakes in the 2014 World Cup final and 2015 Copa America decider constantly used to question if he really was followed with a bad luck. His last goal for Argentina came in October 2016, in a World Cup qualifying draw against Peru, and since then he failed to find the net in Russia as the Albiceleste crashed out in the last 16 to eventual winners of the tournament France. The former Real Madrid, Juventus and AC Milan striker has since been overlooked by new coach Lionel Scaloni, with the likes of Mauro Icardi, Lautaro Martinez and Superliga pair Dario Benedetto and Matias Suarez all preferred to him in recent national call-ups. And at 31, Higuain has decided the time is right to call an end to his international career with the Argentina national team.